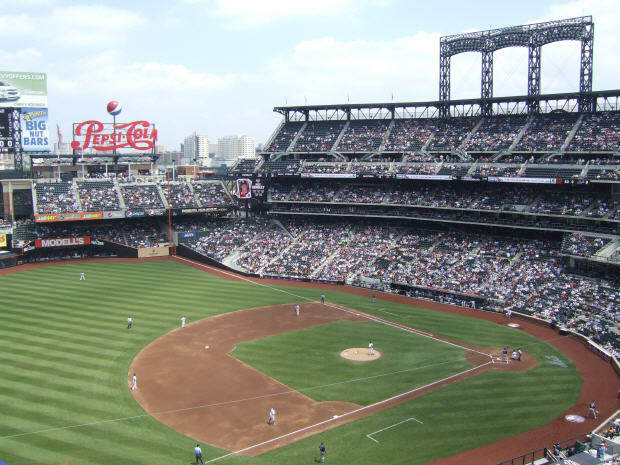 When the Dodgers left Brooklyn for Los Angeles after the 1957 season, Ebbets Field, one of the most nostalgic ballparks in baseball died. 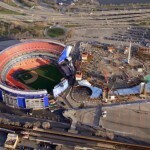 However, the opening of Baltimore’s Camden Yards in 1992 ushered in a new wave of retro ballparks that captured pieces of bygone ballparks including that famed ballpark. 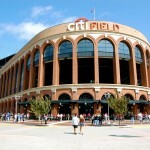 Citi Field, home of the New York Mets, captures Ebbets Field’s most signature feature, its iconic homeplate entrance. 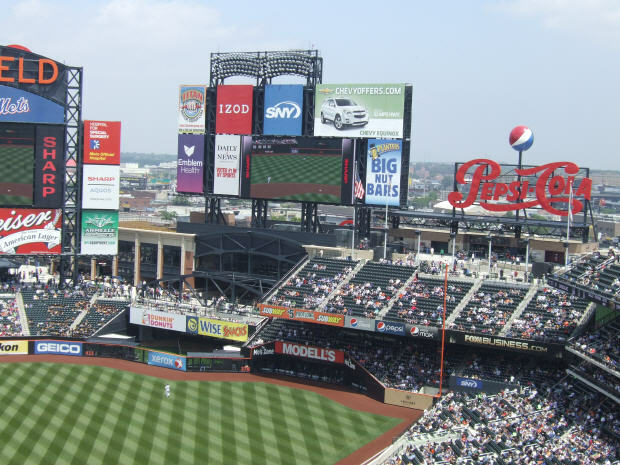 This is ironic because when the Dodgers were in Brooklyn, New York City officials tried to get the team to build a new ballpark where Citi Field is located. 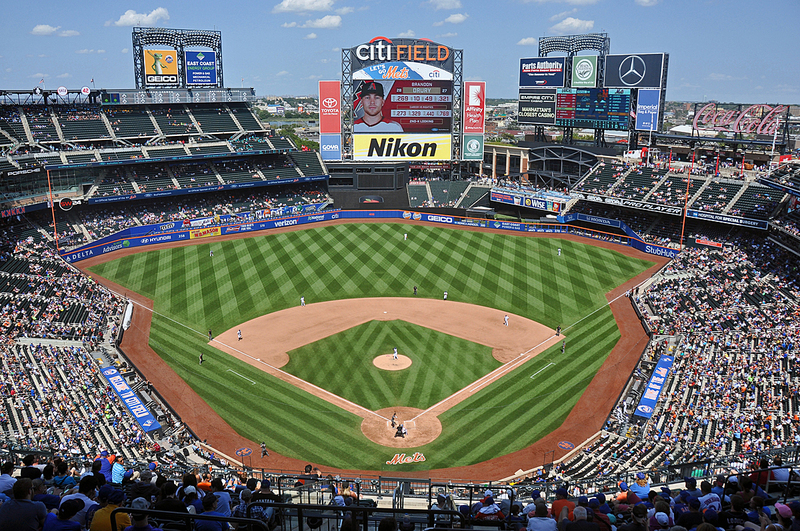 For over a half-century the Mets have called New York City home. 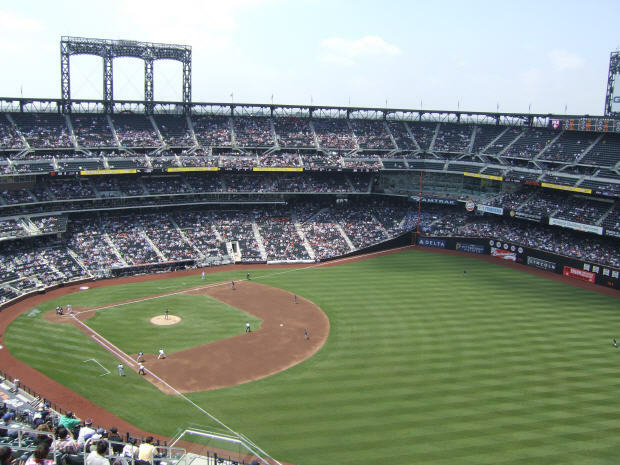 For 44 seasons the Mets played at Shea Stadium. 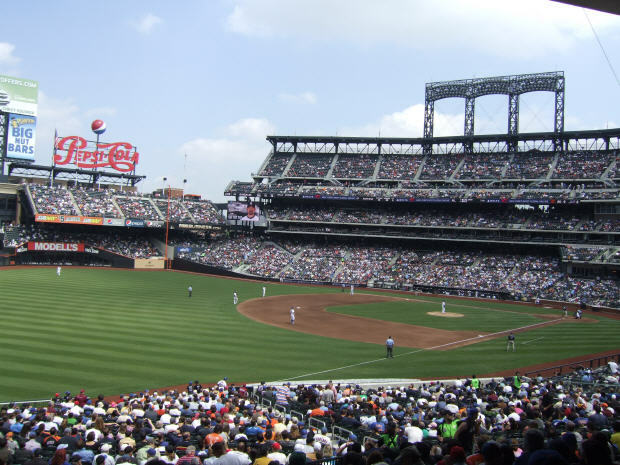 Opening in 1964 it was a multipurpose stadium that fans both loved and hated. 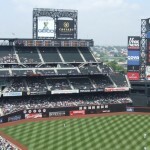 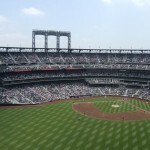 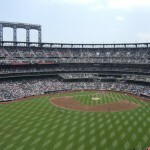 Throughout the mid 1990s and 2000s the Mets sought to have a new ballpark constructed as Shea Stadium lacked the modern amenities found in new ballparks built. 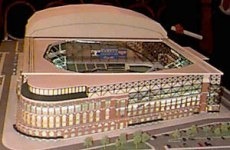 In 2006 the club unveiled plans for a new stadium and received approval for $632.1 million in bonds for construction. 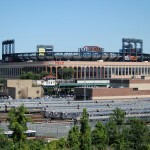 On November 13, 2006 the Mets officially broke ground for the new ballpark that was built in the parking lot beyond the outfield of Shea Stadium. 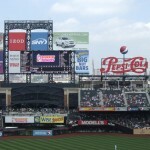 Citigroup, Inc., a financial service company purchased the naming rights to the new ballpark for $20 million per year over 20 years. 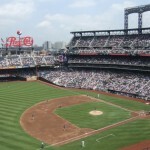 Whether arriving at the ballpark by car or stepping off the 7 Train, some older fans may have flashbacks to more than 60 years ago when the Brooklyn Dodgers played at Ebbets Field. 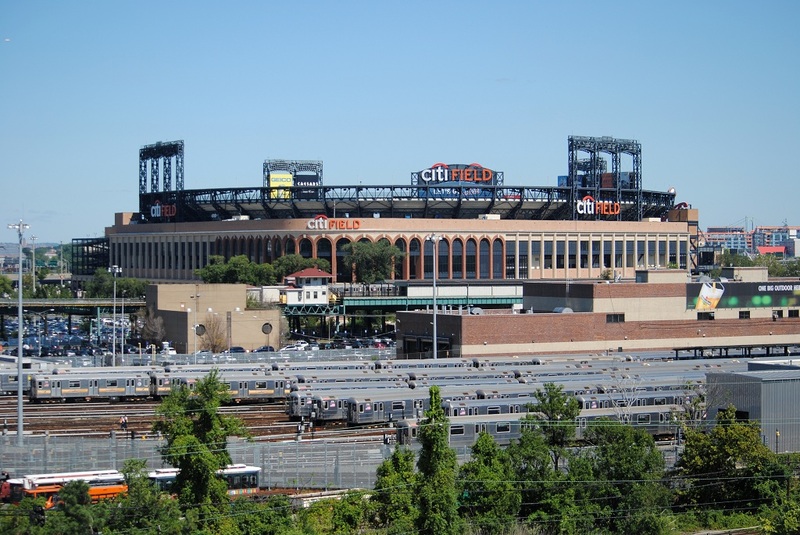 The exterior and facade of Citi Field evokes memories of the former home of the Dodgers with its red brick and limestone facade and arched entrances. 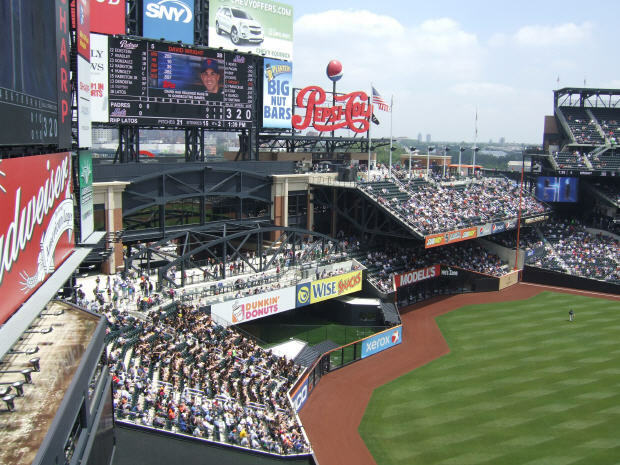 The most striking feature at Citi Field is the Jackie Robinson rotunda at the main entrance of the ballpark. 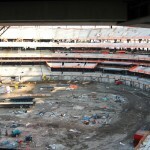 Upon entering the rotunda, the view and atmosphere is just as impressive as the outside facade. 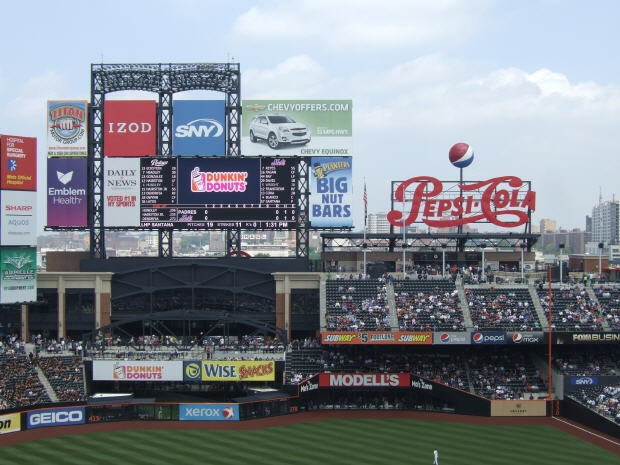 Nine ideals associated with Jackie Robinson are engraved on the floor and flat panel TVs play highlights of Robinson’s career. 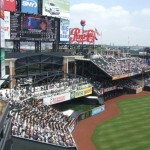 Escalators and grand staircases take fans to their seats. 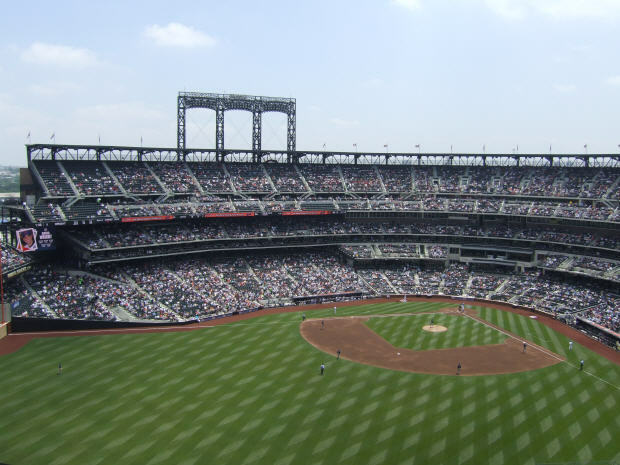 Throughout the ballpark, fans continually have views of the ballpark from the open air concourses including from the split level upper deck. 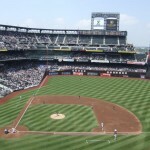 Former Mets players Mike Piazza and Tom Seaver throw out the first pitch during opening day at Citi Field on April 13, 2009. 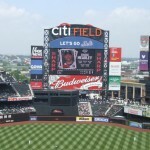 On April 17, 2009 Gary Sheffield hit his 500th homerun. 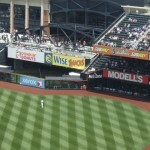 Yankees closer Marino Rivera collects his 500th save on June 28, 2009. 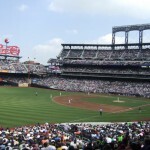 Pitcher Johan Santana throws the Mets first no-hitter on June 1, 2012. 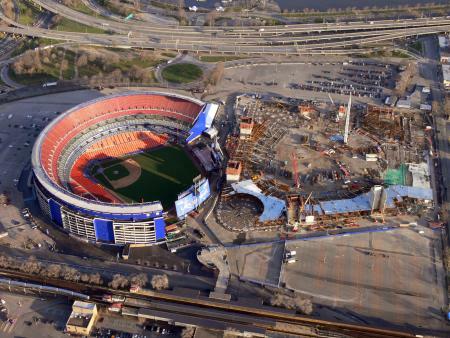 NHL Winter Classic between New York Rangers and Buffalo Sabres on January 1, 2018. 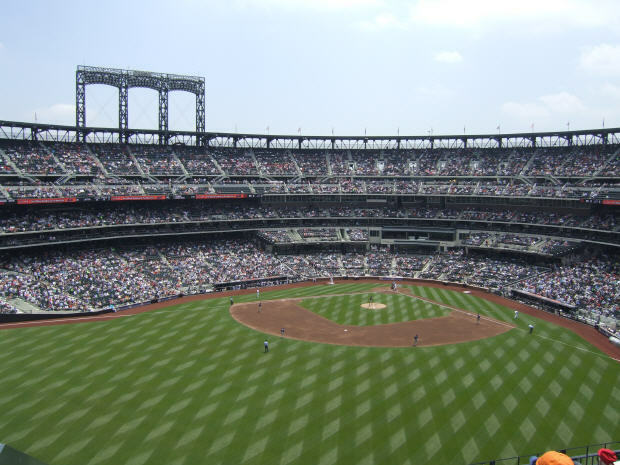 With a seating capacity of 42,000, Citi Field has an intimacy that was not found at Shea Stadium. 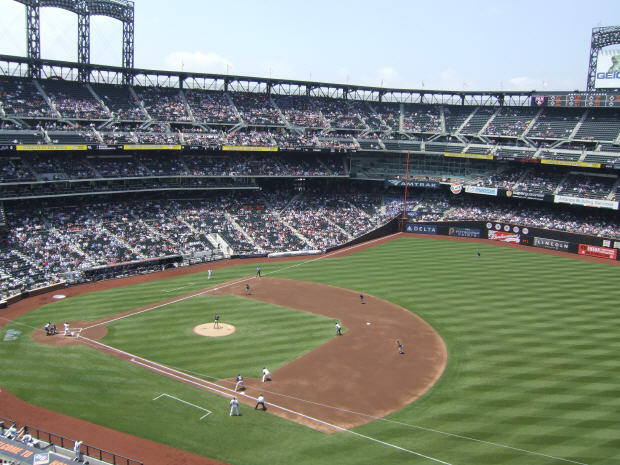 Nearly 42% of the seats are found in the lower deck. 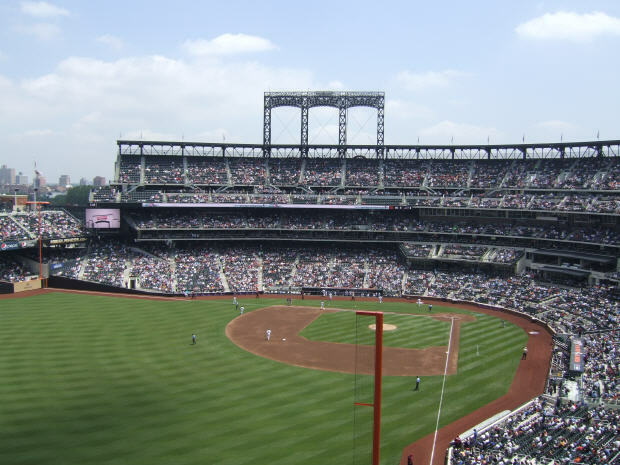 The main three tier grandstand runs from the right field foul pole to home plate, down to the left field foul pole and into left centerfield. 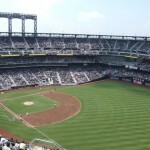 Additional seating is located in right field. 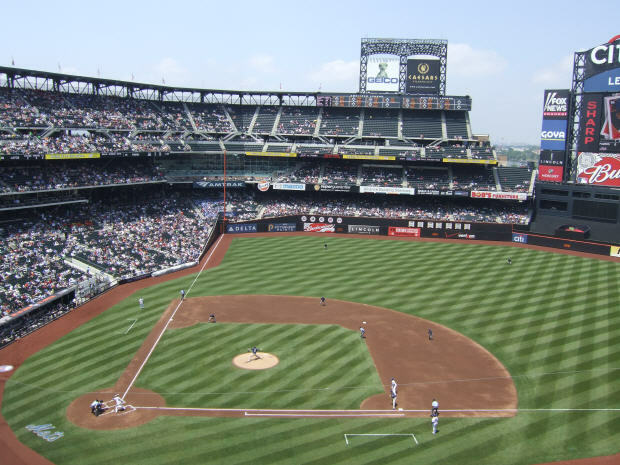 Over 50 luxury suites are found at the ballpark including ones behind home plate below the main concourse. 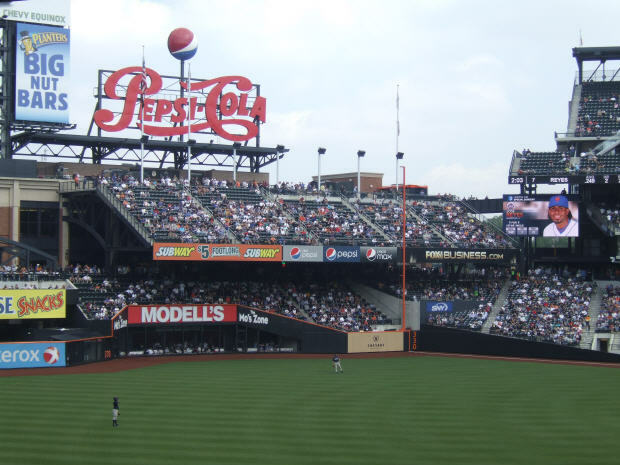 In right field the Pepsi Porch, that seats over 1,200 fans, can be found. 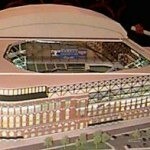 This seating area, modeled after Tiger Stadium, overhangs the playing field, and may allow for some easy homeruns. 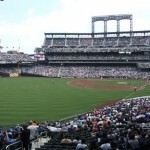 One of the most unique group areas at Citi Field is the The Clubhouse, a group seating area in right field, on the field level, that provides an awesome perspective of the action on the field. 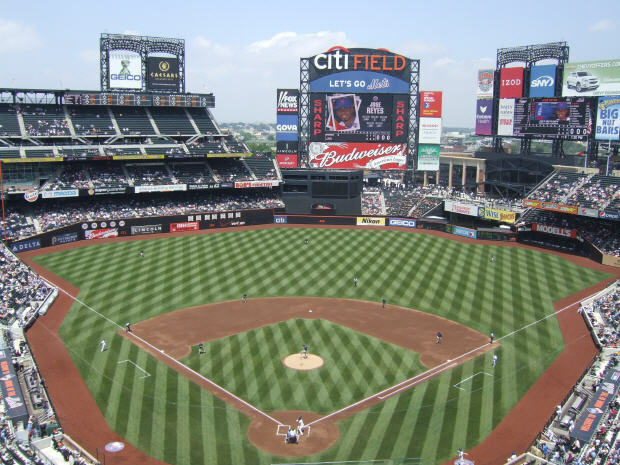 Several exclusive club areas can be found at Citi Field including the Ebbets Club and Delta Sky Club behind homeplate, and the Acela Club, a restaurant, located in the left-field corner between the lower and upper decks. 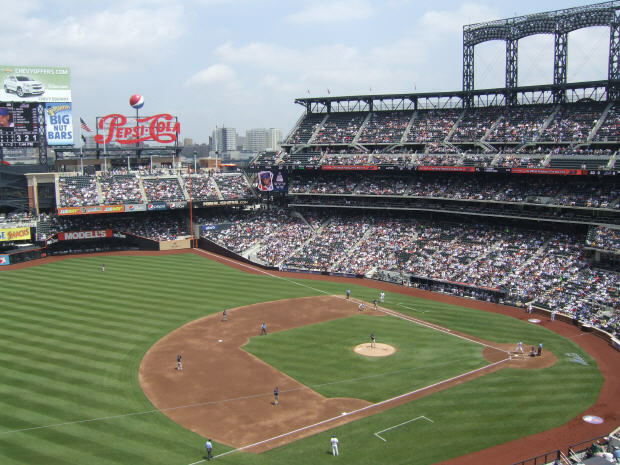 Amenities are abound at Citi Field including the enhanced outfield picnic area adjacent to the batter’s eye that is known as the Taste of the City. 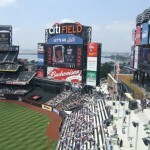 Here fans can grab a bite to eat and mingle with other Mets fans. 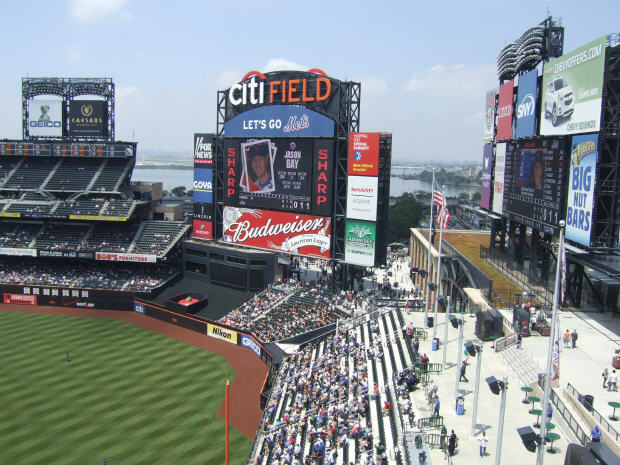 Further entertainment options at Citi Field include an interactive Mets museum with club memorabilia and Hall of Fame displays. 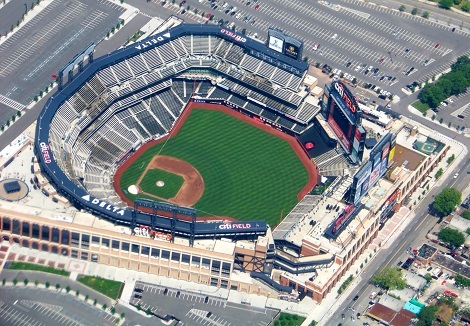 The famous big apple at Shea Stadium has been replicated at Citi Field. 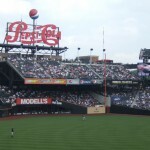 It is now located behind the centerfield fence and rises each time a Mets player hits a homerun. 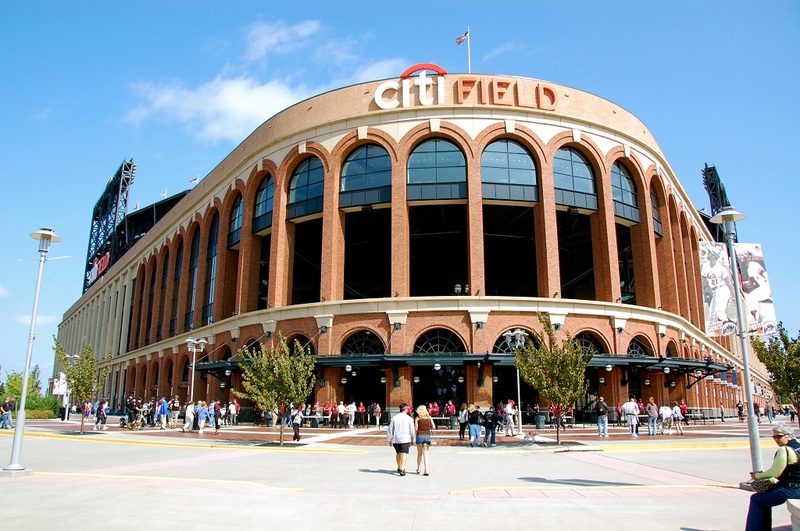 Fans can now take their picture with the old Apple, as it is located outside Citi Field. 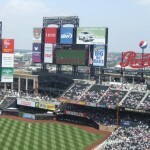 Also moved from Shea Stadium is the famous skyline that was atop the scoreboard, now atop a restaurant in centerfield. 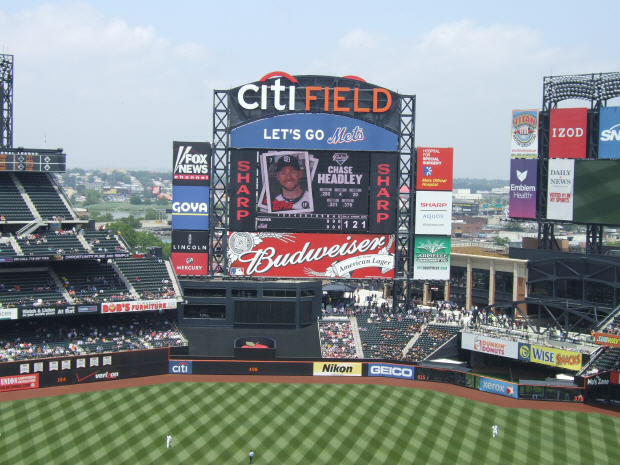 Two HD video/scoreboards can be found at the ballpark, one 54′ high by 105′ wide in centerfield and one 40′ high by 90′ wide in right-centerfield. 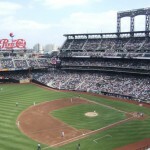 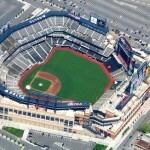 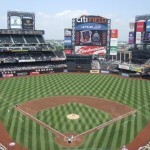 The New York Mets christened Citi Field on April 13, 2009 when they played the San Diego Padres. 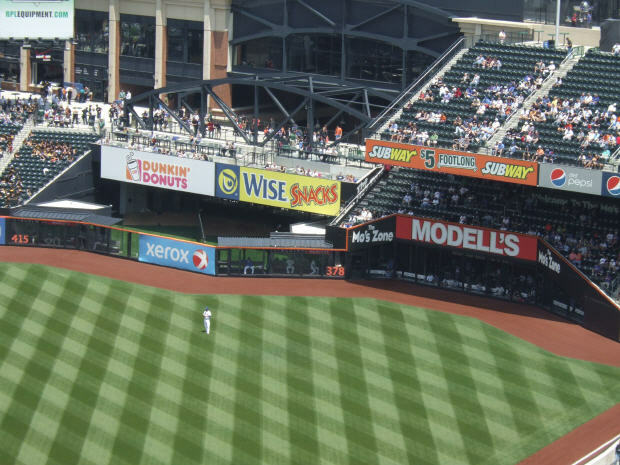 Due to the lack of homeruns at Citi Field, prior to the start of the 2012 season, the Mets altered the playing dimensions at Citi Field. 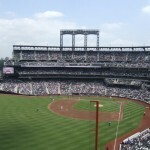 The Mets lowered, 12 feet to 8 feet, and moved, 4 feet in left field and up to 12 feet in left-center field, the fences. 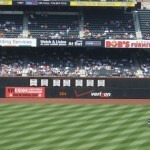 The area between the existing and new fences has created a new limited seating area for fans. 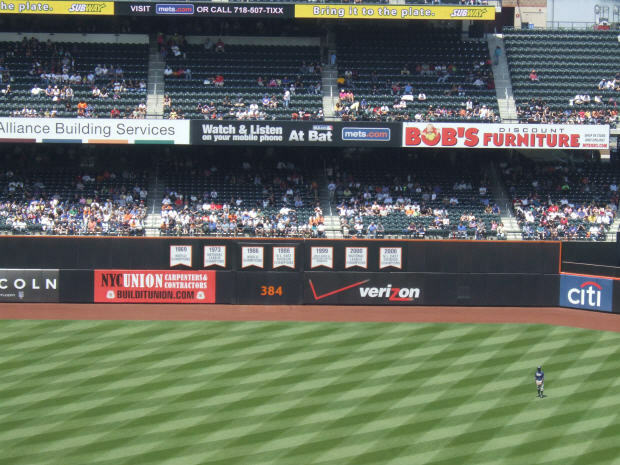 As part of the renovations, the fence colors are now royal blue with an orange line, similar to the outfield fence at Shea Stadium. 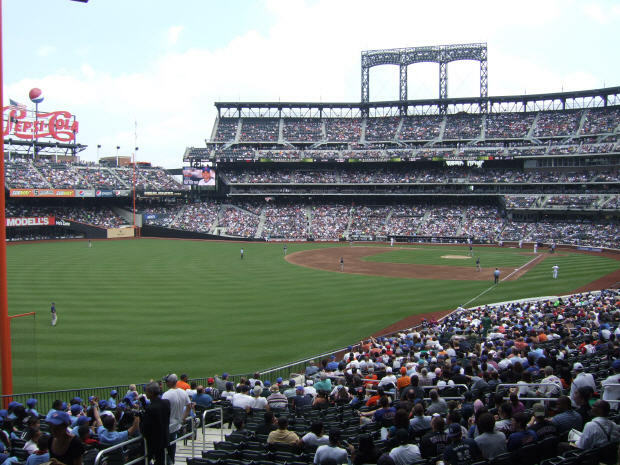 The Mets further moved in the fences before the start of the 2014 season at Citi Field. 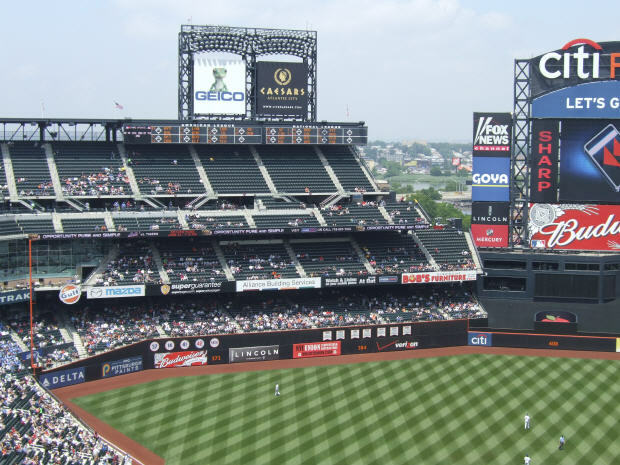 The deepest point in right-center field was reduced to 380 feet from 390 feet and the remaining walls were moved in five to eleven feet depending on the spot. 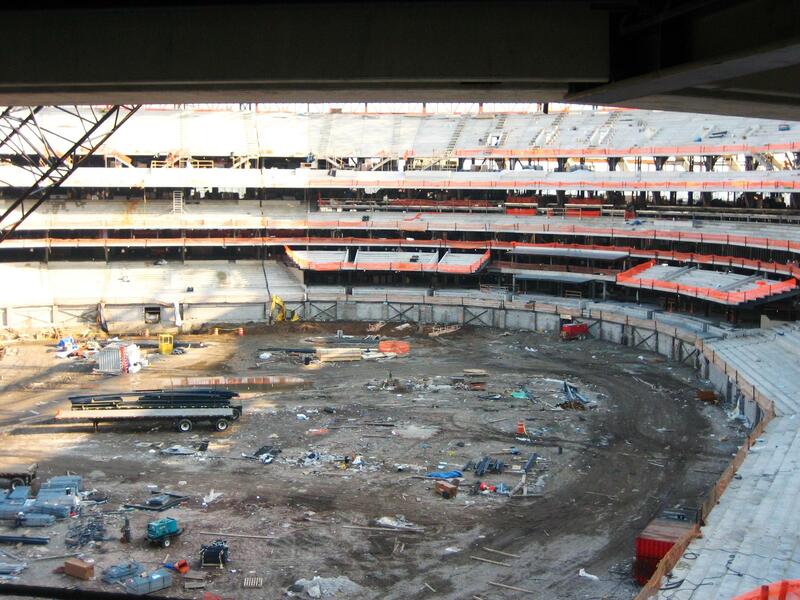 New bar-style sitting areas will be created in the new space between the fence and the existing stands. 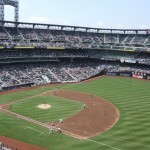 Playoff baseball returned to Queens in 2015 as the Mets brought playoff baseball to Citi Field for the first time in its history winning the National League Pennant.